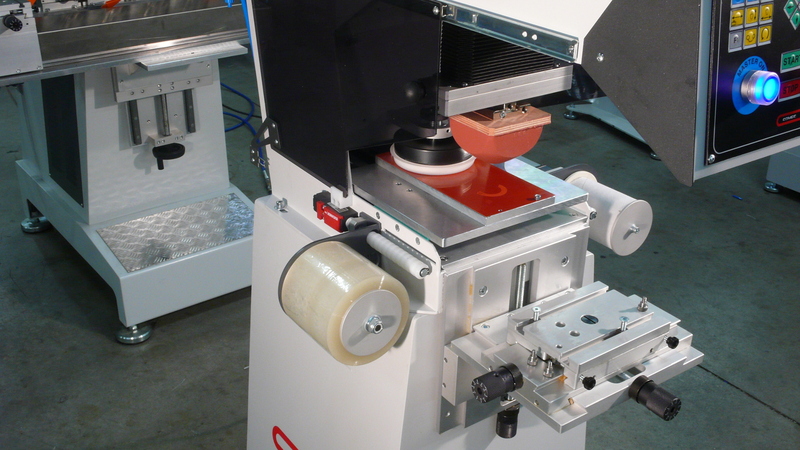 All pad printing machines produced by Comec Italia can be equipped with an automatic and programmable pads cleaning system by means of adhesive tape. It is positioned, according to the model, under the cliché-holder group or fall front directly above the cliché. The rotation of the belt is motorized, and the system allows programming through the keyboard of the cleaning cycle in manual or automatic mode and the number of steps of rotation of the belt.